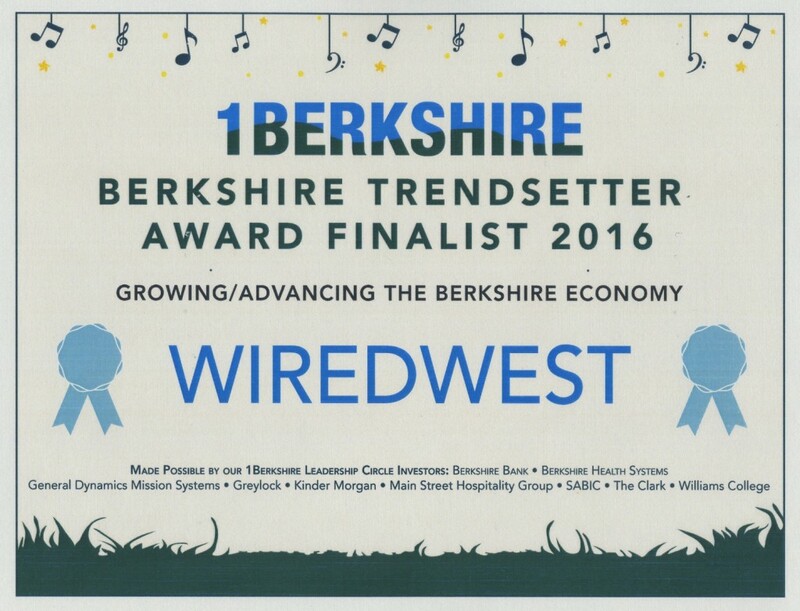 An anonymous admirer of WiredWest nominated us for the 2016 1Berkshire award for Growing/Advancing the Berkshire Economy. We made it to the finals. WiredWest didn’t win, but we were one of 5 finalists. Steve Nelson attended the ceremony to receive the award on behalf on WiredWest. An unexpected recognition of our work.